In January 2009, the Mearns Club adopted the American Birding Association Code of Birding Ethics. Please keep the tenets of the code in mind when participating in Mearns Club field trips. March 3, Sunday, Rye Playland: Meet Bob Slechta (541-8210) at the Rye Playland parking lot at 8:30 am for wintering loons, grebes, and ducks. Note that this trip was original scheduled for Saturday but was postponed until Sunday because of the weather forecast. March 9, Black Dirt Region: Meet Karen Miller (381-3283) in the parking lot of the former Jolly Onion Restaurant (Pine Island) at 8:30 am for the first big wave of blackbirds, not to mention sparrows, larks, buntings, and longspurs. March 16, Bashakill Wildlife Management Area: Meet Scott Baldinger (888-2333) at the Department of Environmental Conservation parking lot on the north side of Haven Road, west of the causeway. Be there at 8:30 am for ducks, Fox Sparrows, and Rusty Blackbirds. March 23, Oil City Road, Wallkill River National Wildlife Refuge: Meet Kathy Ashman (294-6140) at the refuge observation platform at 8:30 am for 100+ Green-winged Teal and Northern Pintail, plus other ducks and early migrants. March 30, eastern Orange County lakes: Meet Bruce Nott (542-0583) and Bob Slechta for this always rewarding trip. Be at the northwest corner of the Newburgh Walmart parking lot (Route 300) at 8:30 am. April 3, Wednesday, southern Orange County lakes: Meet Kathy Ashman (294-6140) at the Chester McDonald’s at 8:30 am to scour the lakes of southern Orange County for ducks and passerines. April 6, Rye Playland: Meet Bob Slechta (541-8210) at the Playland parking lot at 8:30 am for Osprey, egrets, Purple Sandpipers, and more. April 13, Oil City Road: Meet Karen Miller (381-3283) at the Wallkill River National Wildlife Refuge platform at 8:30 am. Our target bird will be Blue-winged Teal, along with other early migrants. April 13, Shawangunk Grasslands National Wildlife Refuge: Meet Tom and Jane (255-0565) at the refuge at 7:00 pm. In addition to American Woodcock, there should still be some Short-eared Owls around. April 20, 6 1/2 Station Road: Meet Carlotta Shearson (234-8314) at 8:30 am for early migrants: Yellow-rumped and Palm Warblers, Ruby-crowned Kinglet, and Blue-headed Vireo. April 27, Bashakill Wildlife Management Area: Meet Joyce Depew (978-9952) at the Stop Sign Trail at 8:00 am for the first big spring movement. May 1, Wednesday, Glenmere Lake: Meet Kathy Ashman (294-6140) at 8:00 am to explore the great habitats and trail system as the birds start pouring in. May 4, Doodletown: Be at the 9W pull off at 8:00 am to meet Bob Slechta (541-8210). We’ll look for Hooded and Cerulean Warblers by the dozens, and much more. May 5, Sunday, Storm King Art Center: Meet Bob Slechta at 8:30 am. More details will be posted on the Mearns website as the date gets closer. May 8, Wednesday, Kenridge Farm (Hudson Highlands Nature Museum Outdoor Discovery Center): Meet Amy Greher (783-6363) in the Cornwall Dog Park parking lot at 7:30 am for a great day of birding at this gem of a spot. May 11, Bashakill Wildlife Management Area: Meet Gerhard Patsch (255-5840) at 7:30 am at the Stop Sign Trail. We’ll see if we can get at least 75 species! May 13, Monday, Goosepond Mountain State Park: Meet Bill Iannone (783-7467) at the Route 17M boardwalk trail in Chester at 7:30 am for warblers, vireos, thrushes, and so on. May 17 and 18, Break 100 and countdown potluck: Create a team or join one and see how many birds you can identify in Orange County from 4:00 PM Friday to 4:00 PM Saturday. For the potluck, meet at the Fitzpatricks’ (496-7718) at 5:00 PM on Saturday. Let them know whether you are coming and what you are bringing. 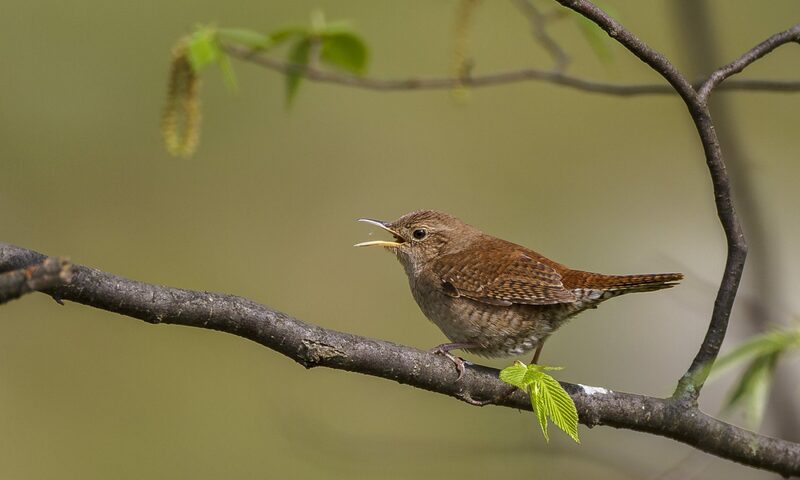 May 22, Stewart State Forest: Meet Bill Fiero (728-5208) at the North Ridge Road parking lot at 8:00 am to seek out local breeders and late migrants. May 25, Shawangunk Grasslands National Wildlife Refuge: Meet Tom and Jane at the refuge (255-0565) at 7:30 am for grassland species. Maybe last year’s Henslow’s Sparrow will be back. June 1, Edgar A. Mearns Bird Club 60th anniversary dinner: More information to come. August 24, Oil City Road: Meet Joyce Depew (978-9952) at the Wallkill River National Wildlife Refuge platform at 8:00 am. Let’s see what turns up this year—like the Least Bittern did last year. August 31, Black Dirt: Meet Karen Miller (381-3283) at the former Jolly Onion Restaurant (Pine Island) at 8:00 am to see if we can find some Buff-breasted Sandpipers and Golden Plovers. September 7, Doodletown: Meet Alan and Della Wells (942-5751) at the 9W pull off south of Bear Mountain State Park at 8:00 am for a rewarding trip to seek out fall migrants at this premier birding spot. September 14, Black Dirt: Meet Dave Baker (446-4030) at the former Jolly Onion Restaurant (Pine Island) at 8:30 am for another shot at Golden Plovers, Buff-breasted Sandpipers, and so on. September 18, Wednesday, Hamptonburgh Preserve: Meet Bill Fiero (728-5208) at 8:00 am to see what we can find on our first fall trip here. September 21, Bashakill Wildlife Management Area: Meet Scott Baldinger (888-2333) at the Deli Fields at 8:30 am. Philadelphia Vireos, Gray-cheeked Thrush, and early Lincoln’s Sparrows are all possible. September 28, Winding Waters Nature Trail, Wallkill River National Wildlife Refuge: Meet Kathy Ashman (294-6140) at the trail parking lot at 8:00 am. Will we find a Connecticut Warbler or a Dickcissel? Perhaps! If you have any doubts about whether a trip is happening—due to weather for example—don’t hesitate to CALL the leader either the night before or in the morning. A phone number is provided for each leader. You can also keep an eye on the Mearns Yahoo Groups site , the Mearns Facebook page, and the News page of this website for trip cancellations or changes. Trip leaders are responsible for sending a write up to Jan Fitzpatrick, 1 Keith Place, Campbell Hall, NY 10916 or fjfitz@frontiernet.net. Include the number of species seen, the number of participants, the weather conditions, and highlights of the trip. If you post the trip online, please send Jan an expanded report fleshing out the details of the online posting. Pileated Woodpecker. Photo by Karen Miller.